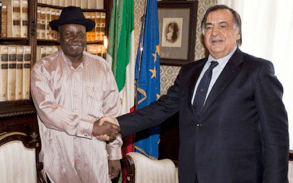 The meeting was the occasion to forecast cooperation between Nigeria and Palermo. Orlando and Mr Eric Tonye Aworabhi also talked about the community of Nigerian people in Palermo. Orlando says that the Nigerians are going to be involved in the city activities. The ambassador and the mayor also talked about possible deal and cooperation between Palermo and Niger. Nigeria is rhe most populous country in Africa, counting 174 million inhabitants (2013 estimate). Half of people is Christian and half is muslim. There are over 500 ethnic groups. It is a member of the Commonwealth of Nations.